Mona Sarfaty, MD MPH FAAFP, is the Director of the Medical Society Consortium on Climate and Health, based within the Center for Climate Change Communication at George Mason University. The Consortium was established after several years of collaboration with medical societies to assess physician attitudes and experience regarding the health effects of climate change and to increase engagement of physicians and their associations on the issues of climate change, sustainability, and clean power. As a family medicine professor and physician for over 30 years, Dr. Sarfaty has engaged in research and teaching focused on primary care, cancer screening, and public policy, including the health effects of climate change. 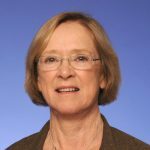 She has lectured at national and regional venues including medical societies, health plans, health departments, professional organizations, and government conferences, and has published articles and book chapters on climate change and health. David Blaine Peden, MD, is Harry S. Andrews Distinguished Professor of Pediatrics; Senior Associate Dean for Translational Research; Associate Chair for Research & Medicine, and Chief of the Division of Allergy, Immunology, and Rheumatology; Director, Center for Environmental Medicine, Asthma, and Lung Biology at the University of North Carolina. Dr. Peden oversees the Children’s and Adolescent Allergy Clinic in the UNC Children’s Hospital and North Carolina Children’s Specialty Clinic in Raleigh. He conducts and oversees numerous clinical investigations examining the effect of challenge and exposure to environmental agents, including ozone, endotoxin, diesel exhaust and other particulates. Julie Wood, MD, FAAFP, is the Senior Vice President for Health of the Public and Interprofessional Activities at the American Academy of Family Physicians (AAFP), a membership of about 125,000 physicians, where she previously served on its Board of Directors. She has oversight responsibilities for the public health, scientific, and research activities of the AAFP, as well as the AAFP’s relationships with other medical organizations in the United States and abroad. Through these relationships, Dr. Wood facilitates the continued development of family medicine and coordinates the AAFP’s international activities. Jerome A. Paulson, MD, FAAP, is Emeritus Professor of Pediatrics at the George Washington University School of Medicine & Health Sciences and Emeritus Professor of Environmental & Occupational Health at the Milken Institute School of Public Health at GWU. He currently serves as a consultant to the American Academy of Pediatrics, a membership of about 66,000 pediatricians, the Healthy Schools Network, and other organizations on issues pertaining to children’s health and the environment. Dr. Paulson is a past chairperson of the Council on Environmental Health for the American Academy of Pediatrics. Nitin Damle, MD, FACP, is the President of the American College of Physicians (ACP). He is a practicing internist and founder and managing partner South County Internal Medicine in Wakefield, Rhode Island, and Clinical Associate Professor of Medicine at the Alpert Medical School of Brown University. Dr. Damle has authored many peer-reviewed articles and writes medical columns and commentary on health care related issues. His current area of interest is health and global climate change and he is lecturing nationally and internationally on the topic as a representative of ACP. ACP, which is the largest specialty organization in the United States with 148,000 members, recently released a policy paper on Health and Global Climate Change which outlines several mitigation strategies. Shannon Gearhart, MD, MPH, is a public health physician who is passionate about advocating for her patients, their communities, and future generations. 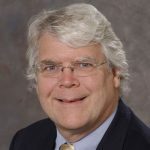 Dr. Gearhart has presented at several national and international conferences, including at the United Nations, emphasizing the role of physicians and other healthcare providers in the protection of human life and the environment. She has also served on the national Board of Directors of Physicians for Social Responsibility (PSR) and currently is serving on the Executive Board of the New York chapter of PSR. Valencia Porter, MD, MPH is an expert in Integrative, Holistic, Environmental and Preventive Medicine. 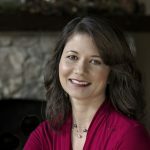 A graduate of Tufts University, she received her MD from the University of Southern California, completed a residency in General Preventive Medicine at the University of California San Diego, and Fellowship in Integrative Medicine at the University of Arizona where she was a Bravewell Collaborative scholar. Double board-certified, she was one of the first physicians to achieve board certification in Integrative Medicine and currently serves on the American Board of Integrative Medicine. Dr. Porter also earned a Master’s Degree in Public Health focusing on Environmental Health from San Diego State University. She is a Fellow of the American College of Nutrition and is on the Professional Advisory Board of the American Nutrition Association. Nathaniel DeNicola, MD, MSHP, FACOG, is a board-certified Obstetrician & Gynecologist and Assistant Professor of Ob/Gyn at The George Washington University. He serves as the American Congress of Obstetricians and Gynecologists’ (ACOG), an organization of 58,000 members, environmental health expert and liaison to the American Academy of Pediatrics (AAP) Executive Council on Environmental Health. In this role, he has served ACOG as a national speaker on emerging environmental health trends. He has published scholarly articles on the interaction of toxic environmental exposures and reproductive health, and he sits on the ACOG Committee on Obstetrics Practice to guide new environmental health practice recommendations. He is also a Senior Fellow of the Leonard Davis Institute on Health Economics, University of Pennsylvania. 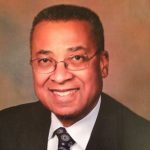 Claude J. Tellis, MD FACP FCCP, the Retired Head of Pulmonary, Critical Care and Sleep Medicine at the Ochsner Clinic of Baton Rouge, Louisiana. He is former Associate Medical Director of Medical Subspecialties at Ochsner Clinic of Baton Rouge. He is also a Retired Colonel from the US Army and the former Chief of Pulmonary, Critical Care and Sleep Medicine at Walter Reed Army Medical Center in Washington, DC. He completed his Internal Medicine Residency and Pulmonary Fellowship at Walter Reed Army Medical Center in Washington, DC. He is a member of the National Medical Association Commission on Environmental Health. 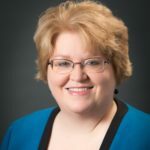 Dyane E. Tower, DPM, MPH, MS, a podiatrist with a passion for public health, currently serves as the Director of Clinical Affairs at the American Podiatric Medical Association (APMA). Her interests include improving the delivery of and access to podiatric care, working with the next generation of podiatric physicians, and learning about the relationship between climate change and podiatric health. Dr. Tower, like other podiatrists, wishes to keep America walking and would like the public as well as policymakers to be aware of the effects of climate when considering walkability and planning of neighborhoods, towns, and cities. Beth Gillespie, MD, completed her medical training at Georgetown University School of Medicine (’06) and her internal medicine residency at the University of Colorado Hospital in Aurora (’09). Now in her seventh year of post-graduate clinical practice, she spent the first three years working in community hospitals (Denver and Albuquerque), then moved back into academics, spending the next three years in the Division of Hospital Medicine at Medstar Georgetown University Hospital. She recently moved with her young family back to Denver, CO where she is a full-time hospitalist at Denver Health Hospital, as well as Assistant Professor of Medicine at the University of Colorado School of Medicine. Her professional interests include healthcare reform and universal coverage, health disparities, climate change, and women’s health. Brad Jacobs, MD, MPH, ABIHM, ABIOM is Chair of the Board of Directors for the Academy of Integrative Health and Medicine – a 501c(3) focused on engaging a global community of health professionals in interprofessional education, community and capacity building to promote the creation of affordable, sustainable person-centered care. He is also CEO and Executive Medical Director of BlueWave Medicine, an integrative medicine medical group providing multi-disciplinary, team-based, personalized, and technology-enabled healthcare using an integrative and holistic model. He is senior editor of The American College of Physicians Evidence-Based Guide to Complementary and Alternative Medicine (ACP Press, 2009) and has published several peer-reviewed papers and authored medical book chapters. Dr. Jacobs is board certified in Internal Medicine and Integrative Medicine. Mimi Guarneri MD, ABIHM, AIHM President, is board-certified in cardiovascular disease, internal medicine, nuclear medicine and integrative holistic medicine by the ABIHM, Dr. Guarneri is president of the Academy of Integrative Health & Medicine (AIHM). Dr. Guarneri is founder and director of Guarneri Integrative Health, Inc. and Taylor Academy for Integrative Medicine Education and Research located at Pacific Pearl La Jolla in La Jolla, CA. Dr. Guarneri served cardiology fellowships at both New York University Medical Center and Scripps Clinic. She is a fellow member of the American College of Cardiology, Alpha Omega Alpha, and the American Medical Women’s Association. Dr. Guarneri founded the Scripps Center for Integrative Medicine and served as Medical Director for 15 years. David A. Pollack, MD, is Professor of Public Policy in the departments of Psychiatry, Family Medicine, and the Division of Management at Oregon Health and Science University. His activities include teaching, writing, and consulting on policy, systems, and health care leadership issues for local, state, and national organizations. Dr. Pollack has worked as a community and public psychiatrist in Oregon since 1973. 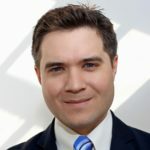 He has written about and presented on many issues, including community psychiatry, health delivery systems, health care financing, mental health integration with primary care, disaster psychiatry, workforce development, ethical aspects of community mental health services, and climate change psychiatry. He has also been active in various capacities at the national level with the American Psychiatric Association and the American Association of Community Psychiatrists. Peter Yellowlees, MD, MBBS, is the President of the American Telemedicine Association (ATA) Board of Directors and Professor of Clinical Psychiatry at the Department of Psychiatry and Behavioral Sciences and Vice Chair of Faculty Development, UC Davis Health System. After completing his medical training in London, Dr. Yellowlees worked in Australia for twenty years before coming to UC Davis to continue his research in telemedicine and eHealth. Dr. Yellowlees has worked in public and private sectors, in academia, and in rural settings. He has consulted to governments and private sector companies in several countries and has received about $12 million in research grants. His main interests are in improving access to health and education services using information technologies. Kyle Bruce, DPM, MPH, originally of San Antonio, has trained extensively on surgical reconstruction of the foot and ankle and is well versed on diabetic foot ulcers, falls in the elderly, and the opioid epidemic among other public health issues. After completing the Public Health Fellowship at Dartmouth for the American Podiatric Medical Association, Dr. Bruce proceeded to join a large multi-specialty clinic in Springfield, Massachusetts where he now runs a Diabetic Limb Salvage program and podiatry clinic. Currently the Chair of the Public Health Committee for APMA, Dr. Bruce is interested in the emerging epidemics including the climate change crisis and the cascade of complicated wounds and infections plaguing the refugee and hurricane-affected populations. Carissa Cabán-Alemán, MD, is a board-certified community psychiatrist and assistant professor in the college of medicine of Florida International University of Miami, FL. Dr. Cabán-Alemán is the medical director for behavioral health of the Student Health Services clinics at the university. She is board member and Public Relations Manager of CrearConSalud, Inc., a non-profit of Puerto Rican psychiatrists in the U.S. focused on mental health awareness and disaster response efforts in Puerto Rico. She is a member of the American Association of Community Psychiatrists, the Climate Psychiatry Alliance and the American Psychiatric Association (APA). She serves as a councilor of the APA Hispanic Caucus. She is a graduate of the public psychiatry fellowship at Columbia University Medical Center in New York. Samuel Snyder, D.O., is board certified in both Internal Medicine and Nephrology. He is a Fellow in the American College of Physicians, the American College of Osteopathic Internists and the American Society of Nephrology. Dr. Snyder is a Fellow of the Health Policy Fellowship at Ohio University College of Osteopathic Medicine. He has been on the faculty of Nova Southeastern University since 1995 and now serves as professor and chair of the Department of Internal Medicine in the Kiran C. Patel College of Osteopathic Medicine. He served as the program director of the osteopathic internal medicine residency at Mt. Sinai Medical Center in Miami Beach and serves on the Board of Directors of the American College of Osteopathic Internists (currently as Secretary-Treasurer), and the Residency Review Committee for Internal Medicine for the Accreditation Council of Graduate Medical Education. Diane Chau, MD, FACP, a board-certified geriatrician, has been providing care focused on older adults since 2002. This includes primary care, skilled nursing care at the Veteran Affairs Community Living Center, and work through the Program of All-Inclusive Care for the Elderly. Dr. Chau has a strong history in academic geriatrics and has been funded by the Health Resources & Services Administration since 2003 with multiple publications. 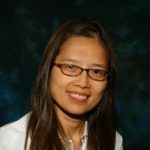 Currently, Dr. Chau is an Associate Professor of Health Sciences Medicine at the University of California, San Diego where she is the Project Director for the Geriatric Education Center Geriatric Workforce Enhancement Project. She also has been an active AGS member serving on the AGS Board of Directors, President of the California AGS State Affiliate, and as an AGS Board Representative for the Council of State Affiliate Representatives.